The pressure is particularly strong with FinTechs like US online lender Rocket Mortgage and UK digital mortgage broker Trussle creating a completely digital experience for prospective home buyers. Banks, therefore, are exploring everything from mature technologies like Optical Character Recognition (OCR) to more leading edge and high-tech solutions based on blockchain and artificial intelligence. While some of these solutions could dramatically impact day-to-day business for lenders and their brokers and customers, blockchain has the potential to completely transform the entire loan origination process and mortgage financing industry. Here’s why. or that consensus will not be reached on the outcomes. Given that blockchain can deliver these key features through applications that focus on a specific problem – the mortgage industry is a prime candidate for innovation. Blockchain is a new computing architecture that was initially created to power the cryptocurrency application Bitcoin. The architecture is both a network and a database, optimised for real-time, global, synchronisation of transactions and related data. Much like the internet, blockchain technology can be used to build many different applications utilising its underlying secure, flexible, and auditable transaction and ‘settlement’ infrastructure, not just to power virtual currency. Distributed Ledger Technology (DLT) – Blockchain is particularly effective when there are many different actors and intermediaries involved in the value chain – the home buyer, broker, mortgage lender, surveyor, insurer, real estate agent, title authority, and others who all need to agree on the key legal and economic terms (data) and transaction progress (events) for a transaction to occur. In today’s world, each one of these parties has its own processes, databases, ledgers, record-keeping and documentation systems to gather and store that information, and it needs to be checked and rechecked by all parties any time a change occurs to ensure all parties remain in agreement. With blockchain, also known as Distributed Ledger Technology (DLT), all parties can have access to different stages of the transaction in real-time, and all share the same view of the transaction but are limited to seeing only the parts which they need to in order to make their contribution. 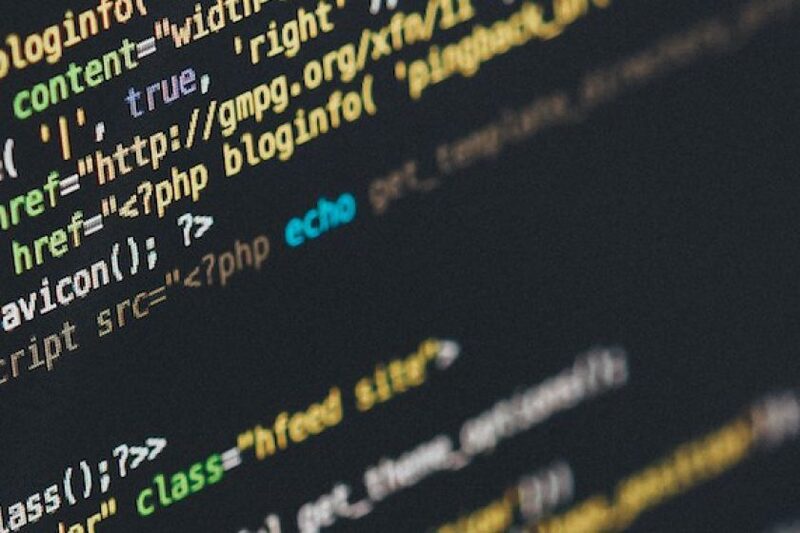 Smart Contracts – Once transaction information is digitally verified and available via DLT, blockchain also allows firms to code Smart Contracts that can automatically execute parts of the transaction when certain criteria are met – for example, recalculating loan-to-value ratios, loan offer and insurance amounts based on survey results. This allows businesses to interact with one another with much less friction, increasing transaction speed and facilitating straight-through processing (STP). Both the DLT and Smart Contract functionality can also be employed internally by firms to significantly automate accounting, risk management and reporting of transactions and portfolios. Inherent Security – The blockchain network is distributed across many computers, creating an inherent layer of security that makes it incredibly difficult to falsify transactions. Additionally, since each transaction ‘block’ is ‘chained’ to all previous transactions once written to the ledger transactions are practically impossible to alter. It has transaction rules, built-in security and permissions, and it maintains internal integrity of transactions, digitised assets and counterparties making the level of trust that can be placed into the blockchain high. It maintains its own history and full audit trail since inception, which is of particular interest to regulators. On a public blockchain, everyone has permission to write information (and read only the transactions they have permission to do so); whereas, in a permissioned or private blockchain participants need to be vetted by an authority and granted permission to read and write records. Digital Payments – Given blockchain’s first application was focused on digital currency, this feature still provides powerful functionality when combined with the others. Digital payments can be automatically exchanged for digital, or dematerialised assets (e.g. property titles) in perfect lock-step and with a level of confidence that does not require a notary or legal representative to complete the transaction. These components can be applied in various combinations to improve processing of real-estate marketing, auctions and mortgage transactions across a broad range of use cases. Distributed and sustainable – The ledger is shared, updated with every transaction and selectively replicated among participants in near real-time. Because it is not owned or controlled by any single organisation, the blockchain platform’s continued existence isn’t dependent on any individual entity. Secure and indelible – Cryptography authenticates and verifies transactions, maintains privacy and allows participants to see only the parts of the ledger that are relevant to them. Once conditions are agreed to, participants can’t tamper with a record of the transaction. Errors can only be reversed with new transactions. Transparent and auditable – Because participants in a transaction have access to the same records, they can validate transactions, and verify identities or ownership without the need for third-party intermediaries (e.g. clearing house, broker, escrow, etc.). Transactions are time-stamped and can be verified in near real-time. Consensus-based and asset-centric – All relevant network participants must agree that a transaction is valid. This is achieved by using consensus algorithms. Blockchains establish the conditions under which a transaction or asset exchange can occur. Orchestrated and flexible – Because business rules and Smart Contracts that execute based on one or more conditions can be built into the platform, blockchain business networks can evolve as they mature to support end-to-end business processes and a wide range of activities. What is the blockchain opportunity for the mortgage industry? Today, real estate transactions involve a large number of legal, financial and real-estate intermediaries acting for the buyer, seller and lender, each adding fees and time to the transaction. Processing times are typically around 40 working days from offer acceptance to sale completion. Real estate registry records are decentralised, antiquated and paper-based, involving several municipal and national governmental organisations, making title transfer a lengthy and obscure process. A shared/permissioned blockchain for mortgage loan funding management drawing on DLT, Smart Contracts, Automated Digital Payments and with inherent security across buyer, lender and their appointed agents is a powerful application for blockchain. 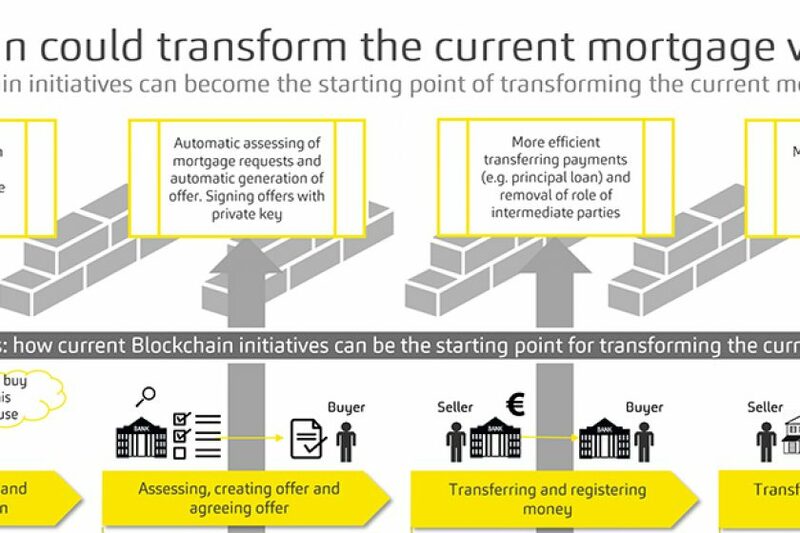 This was the exact focus of Synechron’s blockchain accelerator for mortgage financing and processing where we re-architected business processes and developed an accelerator application to help banks leap-frog the innovation stages needed to embrace this type of technology. Additionally, a public blockchain for real estate title, deeds, planning permissions, mortgage registry and other public records associated with the real estate assets could provide a second powerful application to further enhance these processes. In the UK, Synechron estimates blockchain could save the mortgage industry over £0.5 billion per annum and reduce typical real-estate transaction times from 40 days to 30. And, if the Land Registry put title documentation and asset ownership on a public blockchain we believe further savings of a similar size could be realised – indeed the Swedish government has already begun investigating the potential. In fact, in Dubai, Synechron recently won a leading position in a hackathon for its Land Registry team’s blockchain submission which built an application to automatically generate title deeds on the blockchain. The event was the world’s largest virtual blockchain hackathon with 1,011 participants across 41 nationalities working on 131 projects and showcases the best of the best in blockchain globally. The team accomplished this by mapping the existing process and re-imaging how those decentralised parties would need to change their workflows to submit that information by using blockchain. They then went on to build the solution on a private Ethereum blockchain leveraging IPFS (InterPlanetary File System – IPFS eliminates the need for websites to have a central origin server) for the document management, and developing access points for government and non-government entities. These included the land department, public property owner and buyer, banks, mortgage lenders and insurance firms. Moreover, the solution integrated easy document photo submission with OCR and Natural Language Processing (NLP) technology analysis to speed data entry and accuracy. The point – this type of application already exists today for Synechron clients to use and integrate into their business processes. 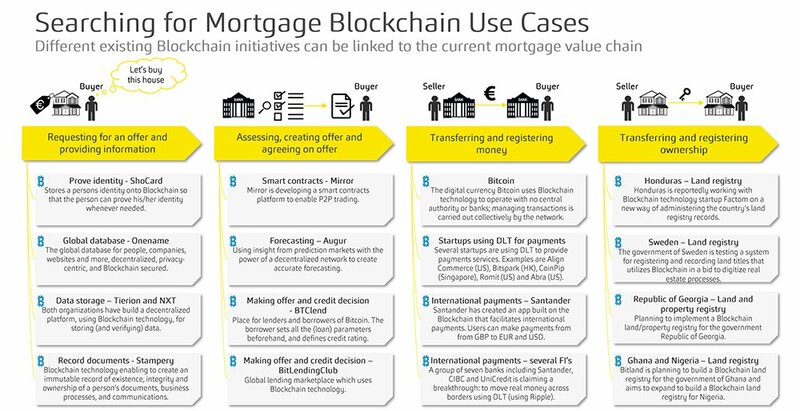 The opportunities for blockchain in the mortgage industry are vast, so much so, that Synechron has prepared analysis in the diagram above to demonstrate over a dozen use cases that can be linked to the current mortgage value chain. What needs to be ironed out before blockchain can go live in the mortgage world? While the opportunity for blockchain in mortgage financing and processing is clear, there are still many hurdles for the technology to overcome. First off, the mortgage industry today in the UK and other countries is still highly manual making the movement over to a fully digital platform a large initiative for firms. That said, a technology strategy that works toward digitising processes could help advance these processes. There are also several technology hurdles with blockchain platforms that still need to be overcome to make the technology more fit-for-purpose for financial services. Re-engineering – the cost/benefit trade-off needs to be more attractive than enhancing existing legacy systems, since re-engineering costs could be large. Misaligned incentives of ‘collaborators’ – some industry participants are threatened. Others see a massive opportunity to replace outdated legacy systems. But value is limited within the boundaries of one organisation – who funds the building of new, shared infrastructure in the current environment of reduced return on equity (RoE), cost control, and regulatory pressure? Evolving the right standard – eco-system participants must agree on standards. Inter-operability is required to scale (e.g. across public and permissioned blockchains). Scalability of solutions – the chosen solution needs to scale, potentially to high frequency trade volumes. Governance – who validates transactions, screens participants, maintains the blockchain and arbitrates security and rule changes? Regulation – Global regulators need to be brought on the journey. Tools like the FCA Sandbox could help. Security – identity and key management and encryption strength. What happens if I lose my key? I don’t want to lose my identity and all my assets. These challenges aside, we’re working with several global financial institutions and insurance companies today on pilot and production-focused blockchain initiatives in the mortgage industry. Some markets are more mature than others and some banks are aggressively pushing for innovation in this area. Their progress will pave the way for other firms, but those that aren’t thinking about a digital model at least in some way do run the risk of being left behind. Blockchain may not be the technology of choice when thinking through digital transformation initiatives, but the features it provides are certainly compelling enough to make it part of the conversation. In the early days, this immutable, public ledger of all Bitcoin transactions was somewhat overshadowed by the excitement around Bitcoin itself, but things have changed dramatically during the last few years, and we at Blockchain Technology Labs have been at the forefront of this innovation. We specialize in creating proof of concepts, integrating your blockchain with various services, analyzing and writing custom logic and smart contracts, all while being completely blockchain-agnostic. With the servcices from Microsoft Blockchain BaaS we can prove that Blockchain is not just hype word. Traditional Ledgers are centralized. You have some person or thing that owns it, usually a third party or a middleman that writes it down and approves. Blockchain safely distributes these ledgers across multiple parties and do not require any middleman. This is kind of one of the big innovations of Blockchain and why it is super-important. The technology maintains multiple replicas just like a peer-to-peer file sharing system. The same ledger across all. Anyone changes one and it doesn’t actually affect the others unless it’s accepted. 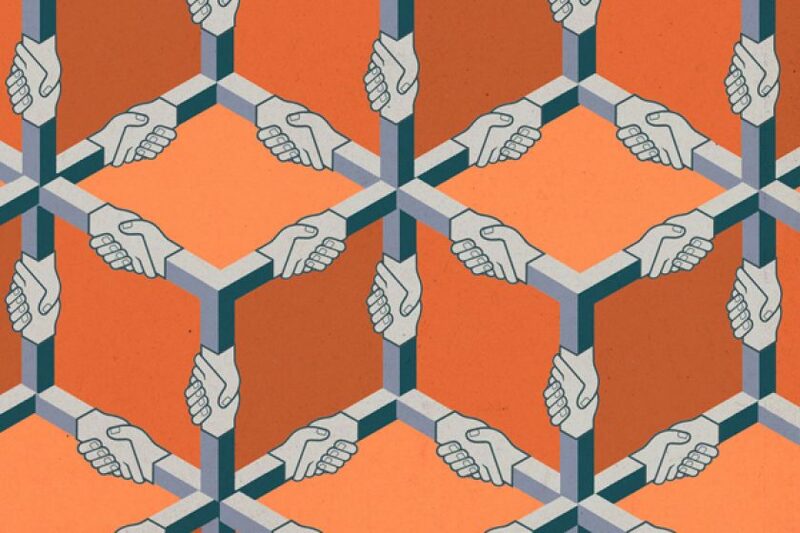 Decentralization has great benefits and this fundamentally changes processes and models that eliminates intermediary, so you lose those middlemen and allows industries to redefine or create new business models. It reduces fraud so no people in the middle are able to change things, so it’s highly secure and transparent, making it nearly impossible to change historical records, because if you change something it should actually disseminate all the way through and it will not verify. It increases speed and efficiency so it simplifies the transaction by using algorithms. It increases revenue and savings as you eliminate the middleman, you eliminate some paperwork and you save a lot of time and money. However as you all know removing a central authority is risky, so it is great if you’re the central authority. Now you’re like hey we’re fine we’re good, but what happens if you have a lot of other people putting their fingers into your database? So where’s the master who maintains that record? That is a classic crypto problem where you have a lot of generals that are surrounding and trying to attack and a couple of those generals might actually not really want to attack, they might be on the other side and they might put out information that is false and corrupt the entire attack. So how do you actually create an encryption algorithm that ensures this doesn’t happen? Blockchain actually solves all of these problems. It replaces authority (Centralized figure) with cryptography (security). It takes all the people parts out. What is needed is an electronic payment system based on a cryptographic proof instead of trust. Allowing any too willing parties to transact directly with each other without the need of a trusted third party. “In Project Bletchley, Azure provides the fabric for blockchain, serving as the cloud platform where distributed applications are built and delivered. 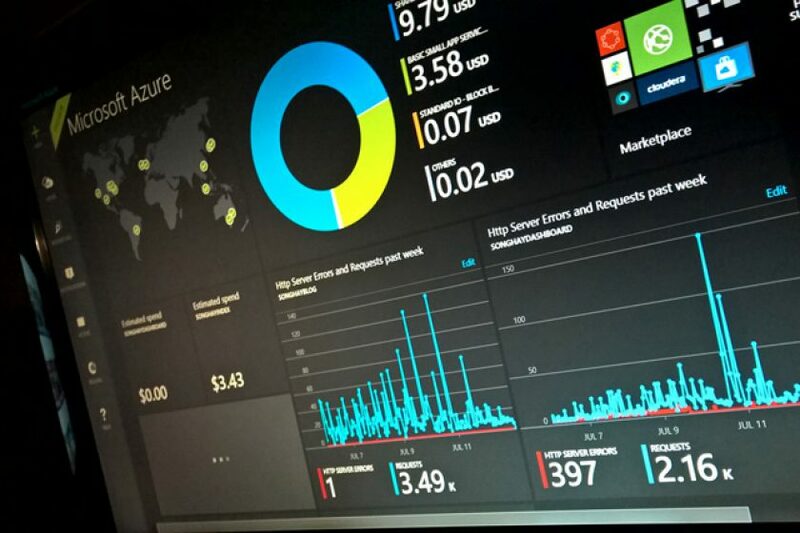 Microsoft Blockchain Azure’s availability in 24 regions across the globe, hybrid cloud capabilities, extensive compliance certification portfolio, and enterprise-grade security enable blockchain adoption, especially in highly regulated industries like financial services, healthcare, and government,” writes Gray in his blog post. According to Gray, Bletchley could reducethe estimated 3-week process of setting up a globally distributed multi-node consortium Ethereum network down to 8 questions and 5-8 minutes, by automating the setup of the network infrastructure and setting up a portal for rapidly getting started developing applications on Ethereum. This islargely possible thanks to the introduction of two new concepts: blockchain middleware and cryptlets.Blockchain middleware provides core services functioning in the cloud, including identity and operations management, in addition to data and intelligence services like analytics and machine learning.Cryptlets enable secure interoperation and communication between Microsoft Blockchain Azure, ecosystem middleware, and customer technologies. These technologies can be any smart contract-based platforms like Ethereum and eris, or they can be high-level, contract-oriented languages, such as Solidity, which is the first example of a contract-oriented programming language. When working on your next big idea you have decided that you want to use blockchain distributed ledger technology in your business rather than a relational database. That is great but soon you become overwhelmed by the different blockchain technology implementations available. The first blockchain is open, public, and its tokens are worth over $9 billion now. Then we have witnessed several private blockchains like Ethereum which we would review separately. Hyperledger has primarily been created in order to encourage and facilitate cross industry interactions through an open source, compartmentalized, yet collaborative blockchain platform. With such a modular structure, you can sure the highest level of security, transparency, and scalability in your functions. 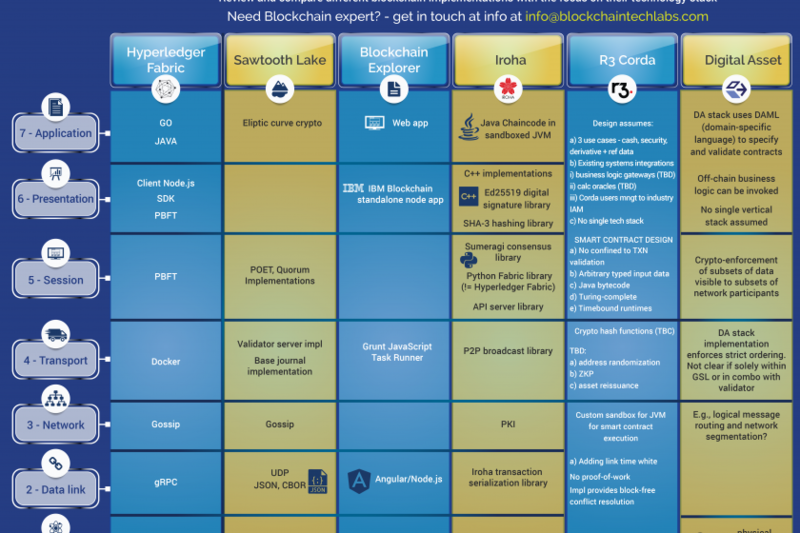 If you need help integrating your blockchain with services, creating custom logic, smart contracts, and proofs of concept, please get in touch. We are here to help you explore the blockchain technology and provide you with state-of-the-art solutions. Blockchain, the distributed ledger technology mostly known as the backbone technology behind Bitcoin, is one of the hottest and most intriguing technologies currently in the market. Since 2013 Google searches for “blockchain” have risen 1900%. Similar to the rising of the internet, blockchain has the potential to truly disrupt multiple industries and make processes more democratic, secure, transparent, and efficient. Entrepreneurs, startup companies, investors, global organizations and governments have all identified blockchain as a revolutionary technology. Here are the four ways we think the digital marketing and advertising industry could use blockchain. 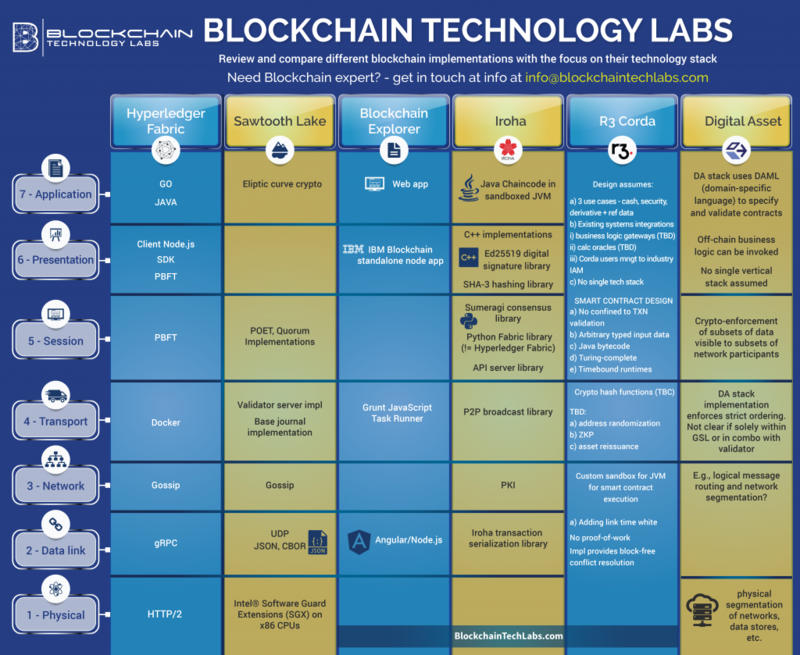 © 2018 Blockchain Tech Labs. All rights reserved.